It’s easy for people in and out of the Star Wars galaxy to assume the Force is all about swirling lightsabers and Force-choking incompetent or disobedient officers, but if The Last Jedi taught us anything, it’s that the franchise is trying to do away with the Jedi and redefine the Force for a new generation of fans. General Leia’s own impressive display of the Force in The Last Jedi was a testament to that, with Holdo’s aim — and her own power — perfectly aligned with that of Leia’s. 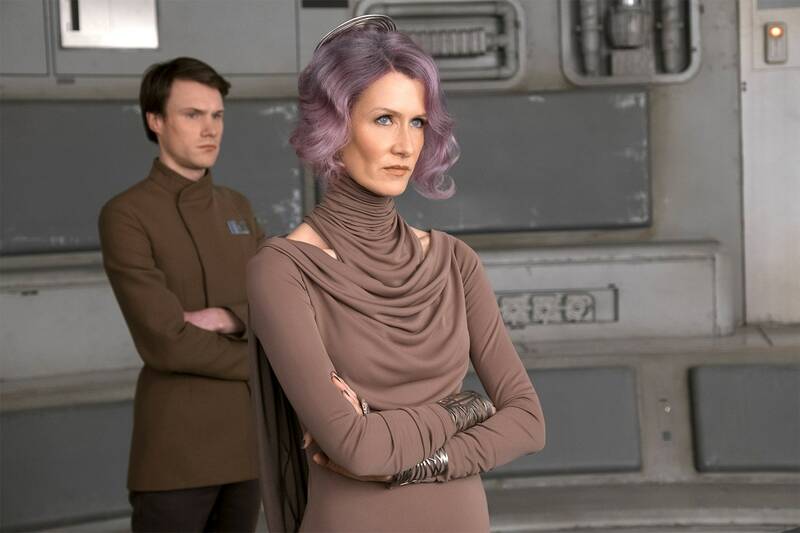 Laura Dern as Vice Admiral Amilyn Holdo in 'Star Wars: The Last Jedi'. New types of Force-sensitive characters like Maz Kanata and even the “Broom Kid” are great for growing Star Wars beyond the binary of the Jedi and Sith, but it also becomes a thin line to tread. You could explain any highly-skilled character’s abilities as them being Force-sensitive.